What You’ll LOVE This February at SOCO + The OC Mix! It may be the shortest month of the year, but that’s not stopping us from packing in all of the fun February has to offer. Join SOCO + The OC Mix for celebrations and sales all month long!For a full list of upcoming events + announcements, visit our website or follow us@socoandtheocmix! 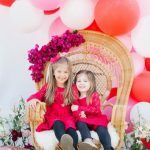 Love is in the air, so grab your kiddos and head to SOCO + The OC Mix for a day of photo fun, sweet deals and Valentine’s goodies! On Saturday, February 2 from 9:30 a.m. to 12:30 p.m., Alison Bernier + Beijos Events will host a Valentine’s Day photoshoot for your little ones near the walkway between Gear Co Op and Milk & Honey Baby. Attendees will enjoy a fun arts + crafts table from Milk & Honey Baby, treats from SusieCakes, plus a ton of lovely discounts throughout SOCO + The OC Mix! Whether you’re hosting a Super Bowl party or attending one, these sporty snacks from SusieCakes are sure to be a touchdown! 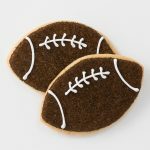 Choose from a variety of Super Bowl-themed treats like frosted sugar cookies or football cupcakes, and don’t forget to get them decorated to support your team! These sweet treats are available February 2 and 3 only. 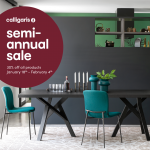 It’s that time of year again – your favorite contemporary Italian furniture is on sale 30% off at Calligaris! Shop the semi-annual sale now through Feb. 4, and don’t forget about their QuickShip program where you’ll receive hundreds of products incredibly quick. Be sure to speak with a Design Consultant for more info! 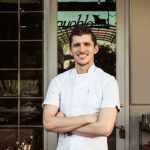 Ready to try your hand at a recipe from a professional chef? As part of the Chef to Farmer Program, Chef David of Pueblo Tapas will be showing SOCO Farmers’ Market shoppers how to make a delicious meal using fresh, seasonal ingredients! Join Chef David on Saturday, February 9 from 9:30-11:30 a.m. and get your tastebuds ready! For more info, please visit the event page here.